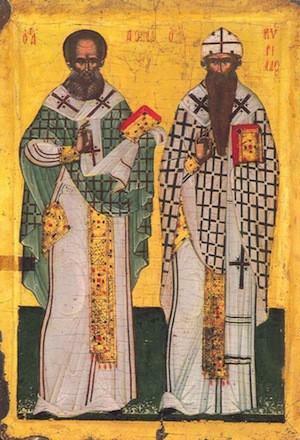 Our Holy Fathers Athanasius and Cyril, Archbishops of Alexandria are honored by the Church today. We should not make a fundamental mistake about deification, that, because of our faulty ideas about God’s omnipotence and omniscience, we should become proud and over-bearing, as if this were to imitate God. Instead, God revealed humility in becoming a human being, and he displayed infinite love in laying down his life for our sakes. The true God-like person, then, would be humble, patient, compassionate and loving. That is what it truly means to be a baptized Christian, an authentic follower of Christ.